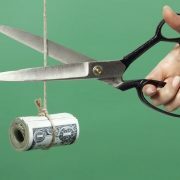 When Is It Time to Cut Your Kids Off From Your Finances? Deciding when to let your children stand on their own can be tough, especially when they’re contending with student loans, underpaying jobs, or sky-high rents. But easing your kid’s entry into adulthood could be undermining your own financial security. According to a December survey from CreditCards.com, three-quarters of parents are providing financial support for their adult kids. But at a time when the majority of Americans haven’t socked away nearly enough for retirement—the median retirement savings for all working families in the US is just $5,000, according to the Economic Policy Institute—it makes sense to do a little less for our offspring, so we can think a little more about ourselves. So, how do you figure out when and how to cut your kids off financially? Learn more below. https://www.horizonswealth.com/wp-content/uploads/2019/01/cut-financial-losses.jpg 500 750 David Hunter https://www.horizonswealth.com/wp-content/uploads/2019/03/Horizons-logo-retina.png David Hunter2018-06-21 13:15:232019-03-27 08:39:47When Is It Time to Cut Your Kids Off From Your Finances?